TV's Dennis the Menace turned 61 years old recently. 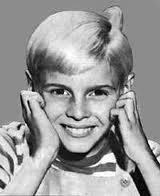 Jay North, who played the mischievous little rascal, was born Jay Waverly North, Jr. in Hollywood, California on August 3, 1951. His parents, Jay Sr. and Dorothy, had an unhappy marriage, When Jay was only four years, his alcoholic father abandoned the family. Dorothy North raised her son as a single mother and found employment with the American Federation of Television and Radio Artists (AFTRA). When Jay was six years old, Dorothy used her association with AFTRA to arrange for him to appear on a children's television show in Los Angeles. He caught the eye of a Hollywood talent agent and soon found himself making commercials and winning small parts on several popular 1950s variety shows. In 1958, when the television division of Columbia pictures announced a nationwide search for a boy to play the lead role in the TV adaptation of the Dennis the Menace cartoon. Jay auditioned and won the role over hundreds of hopefuls. Based on the popular comic strip by Hank Ketcham, Dennis the Menace ran for four seasons from 1959 to 1963 on the CBS network. 146 episodes of the series were produced featuring North as the impish Dennis Mitchell. Dressed in his trademark striped shirt and overalls, the blond-haired youngster with the distinctive cowlick would wreck havoc in his neighbourhood. The show was hugely successful and Jay North was catapulted into stardom. In February of 1962, however, Joseph Kearns, who played Dennis' nest-door-neighbour, George Wilson, died unexpectedly after filming the 100th episode of the series, "The Man Next Door." The show was never the same without Kearns. He was replaced by Gale Gordon who did an admirable job in the role of George's brother, John Wilson. Something, however, was missing. Perhaps it was the dynamic between Keans and North. Whatever the reason, the show's ratings plummeted after the death of Joseph Kearns and it was cancelled in the spring of 1963. By that time, Jay North was almost 12 years old and rapidly outgrowing the part of "little Dennis." The young actor was also tired of the gruelling hours on the set and felt deprived of a normal childhood. The demise of Dennis the Menace came as a relief to him. Jay's portrayal of a happy and spirited child had been an illusion. Even the blond hair had been artificial. His strawberry red hair had been bleached platinum blond every two weeks so that he would more closely resemble the Dennis the Menace cartoon character. His years as Dennis had been anything but happy and carefree. Working long hours on the show while continually appearing in commercials and promotions, had taken its toll on the young actor. As a teenager, Jay tried to get his post-Dennis career on track. He had a starring roles in two MGM feature films, Zebra in the Kitchen, a family comedy about a boy who sets the animals in local zoo free, and Maya (1966). He also starred in the television version of Maya and travelled to India where the series was filmed on location there. 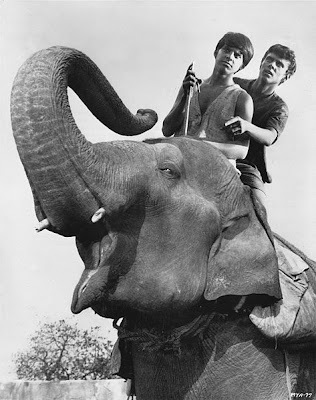 It chronicled the adventures of two boys, Terry Bownen (Jay North) and Raji (Sajid Khan), a Hindu boy, who travelled around India on the back of an elephant named Maya. Their goal was to find Terry's missing father, whom they never located. The series aired on NBC from September 1967 until February 1968. After Maya, Jay North became involved in voice acting for animated television shows. He provided the voices of Prince Turhan on Arabian Nights and the teenage Bamm-Bamm Rubble on The Pebbles and Bamm-Bamm Show. As an adult, however, Jay's career didn't just stagnate. It came to a full stop.and he became a self-described "professional has-been." In 1977, unhappy and disenchanted with his career, Jay North left show business and enlisted in the U.S. Navy. He served on the USS Iwo Jima which was stationed in Norfolk, Virginia. As a former child star, Jay was treated roughly by both his mates and his superiors. On August 10. 1979, he left the service with an honourable discharge and returned to Hollywood. After his return from the Navy, Jay could never quite revive his career and he failed to find steady work. In 1982, he appeared as a character named Al Barker on General Hospital but his stint on the afternoon soap lasted only a week. Tired and frustrated, he left public life for several years and made his living in the health food industry. In 1993, Jay revealed that he had suffered childhood abuse, both emotional and physical, at the hands of his aunt and uncle, Marie and and Hal Hopper. 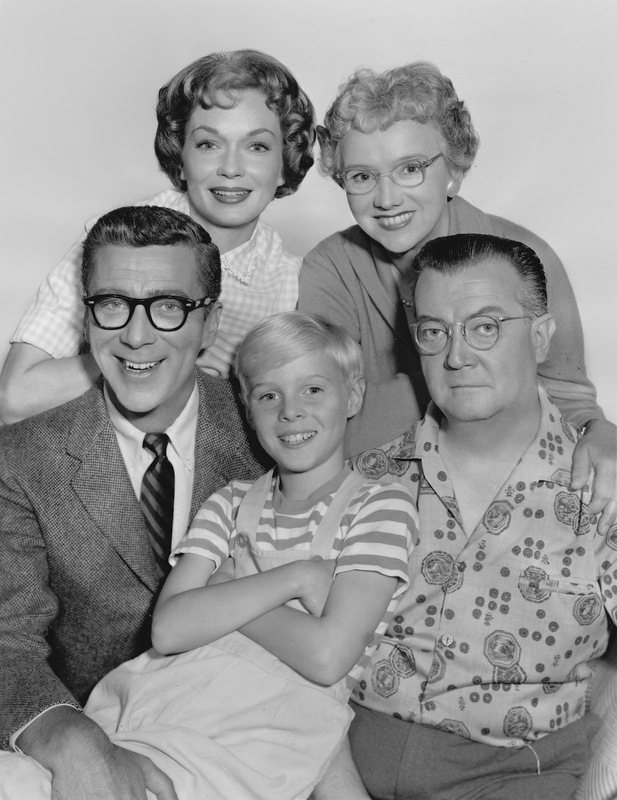 Due to Dorothy North's full-time job at the American Film and Regional Theater Arts, Dorothy's sister, Marie and her husband, Hal served as Jay's legal guardians on the set of Dennis the Menace. Hal, a former member of the Pied Pipers, a 1940s music group, was also an actor. On weekends, the child star went on promotional tours with his aunt and uncle. The Hoppers were strict disciplinarians and Jay was always under their watchful eyes. They would slap him if he performed a scene below their perfectionist expectations. In an article by Ray Richmond in the Los Angeles Daily News (published in June of 1993), details of the abuse were brought to light. Jay is quoted as saying: "If it took me more than one or two takes, I would be threatened and then whacked." Jay North has been married three times. He wed his first wife, actress Kathleen Boucher, when he was 21 years old. The two had met while touring in a production of Butterflies are Free. After travelling with the production for a year, they returned home to Los Angeles and married on on July 20, 1973. The marriage, however, was short-lived and they divorced on October 21, 1974. On March 2, 1991, North wed his second wife, Rositia, whom he had met on a blind date. The couple separated three months later and divorced on May 5, 1992. In April of 1992, Jay met a caterer named Cindy Hackney at a charity event for victims of pediatric AIDS. They were married on March 3, 1993. Months after the wedding, North left Los Angeles and relocated to Cindy's hometown of Lake Butler, Florida, near Jacksonville. He became stepfather to her three daughters. Jay North had to leave Hollywood in order to "put this 'Dennis the Menace thing' behind me at last." After years of trauma, drug problems and weight gain, he seems to have finally found some contentment in his life. He has also come to terms with his resentment toward Dennis the Menace. In a 2011 television interview with KTLA 5 News in Los Angeles, he declared, "I've made peace with the show. I realize that I had to physically remove myself from Los Angeles to get the show business mentality out of my head." Jay said he's very happy in Florida and that he works with the Florida Department of Corrections. To watch the KFLA 5 News interview with Jay North, Gloria Henry and Jeannie Russell (Margaret Wade on Dennis the Menace), click on the link below. 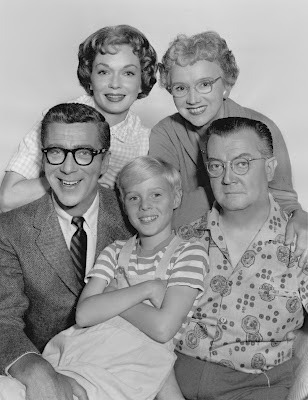 Clockwise from centre: Jay North (Dennis Mitchell), Herbert Anderson (Henry Mitchell), Gloria Henry (Alice Mitchell), Sylvia Field (Martha Wilson) and Joseph Kearns (George Wilson). Herbert Anderson portrayed Henry Mitchell, Dennis' bespectacled, pipe-smoking father. Anderson, a character actor from Oakland, California, retired from acting in 1982 after undergoing heart surgery. He died from complications from a stroke on June 11, 1994. He was 77 years old at the time of his passing. Gloria Henry played Alice Mitchell, The Menace's mother. Born Gloria McEniry in New Orleans, Louisiana.on April 2, 1923, she began her acting career on radio shows and in small theatre groups. After signing with Columbia Studios, she appeared in a string of "B" films in the late 1940s and early 1950s before moving to television. Now 89 years old, Gloria remains active, most recently appearing in an episode of Parks and Recreation.that aired on March 1, 2012. The episode is entitled ""Campaign Shake-up" and Gloria portrayed a character named Mary-Elizabeth Clinch. Joseph Kearns played the Mitchell's neighbour, George Wilson. Good Ol' Mr. Wilson, as Dennis referred to him, enjoyed puttering around in his garden and taking care of his home. His tranquil existence, however, was constantly shaken by the antics of the young hellion. Although best known for his role as Mr. Wilson, he made several appearances on such shows as The Jack Benny Program, Our Miss Brooks and The Adventures of Ozzie and Harriett. Dennis the Menace never recovered from Kearns' sudden death from a cerebral hemorrhage on February 17, 1962. He was 55 years old. Sylvia Field, a veteran performer of the stage, screen and television, portrayed Martha Wilson, George's wife. When her television husband, Joseph Kearns died in 1962, Sylvia was written off the show. Through the years, she guest starred in over 30 television shows including Father Knows Best (1957), Perry Mason (1957) Hazel (1965) and Petticoat Junction (1966). Her last television appearance was in a 1975 episode of the David Janssen crime series Harry O. The episode, entitled "The Last Heir," aired on January 9, 1975. Sylvia Field passed away at a nursing home in Fallbrook, Califormia at the age of 97. * On December 8, 1988, Jay became the focus of a hoax when United Press International reported that he had died in a doctor's office at the age of 37. * In 1959, during the first season of Dennis the Menace, Ron Howard (then billed as Ronny Howard) appeared in six episodes as Dennis Mitchell's friend, Stewart. According to an obituary on a website called tributes.com (www.tributes.com), Dorothy Alixe North died in Lake Butler, Florida on December 31, 2011 at the age of 95 (She was born on June 12, 1916). Dorothy was a resident of Lake Butler and I assume she moved there to be near her son Jay and his wife Cindy. Note: The information on the obituary is based on information from the U.S. Government's Social Security Death Index. Dorothy's maiden name was Cotton and this makes Jay North a very distant cousin to actor Joseph Cotten. Hi, thanks. I heard that Dorothy was cremated and that her ashes were sent to a private cemetery in Los Angeles. Does anyone know which one? Thanks. Dennis the Menace had the most irritating and obnoxious loud voice. They should have replaced him He was ridiculous. i totally agree..he was too skinny and tall and too old..bobby buntrock would have been perfect for the part. or even his friend tommy. I remember seeing Jay North when I was in Boot Camp in Orlando Florida. He always had all of the Chief Petty Officers and Petty Officers criwded around him wanting to talk to him or get his autograph. Quite different from my experience. He is quoted in a Washington Post interview in 1978 say he was good naturedly teased by his shipmates. I would hate to have to tell the world that I got out of the Navy because my shipmates were being mean to me and I had to have my mother call and get me out of the Navy. He says he never ever got to do what he wanted to do in life, and his mother says he was the one who wanted to be on television. It just does not add up. Would be interesting to hear a few of the several hundred passed over for the role relate on how badly they wanted to get it. My late pop, never wanted to hear a word about how much an actor hated the role they played, because it ruined his enjoyment of their performance.